This was the first week of school for my little darlings, which meant I was free for the first time in months to get out and about. I had taken the summer off from working with clients so that I could dedicate my attention to them (and believe me–they demanded it), but by the end I was so ready to pick up where I left off. 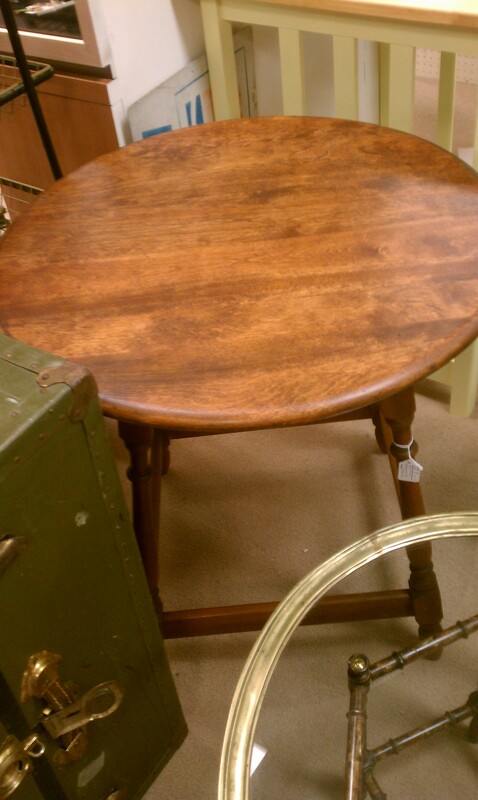 Wild horses couldn’t have kept me away from the antique shops, thrift stores, fabric stores, and Homegoods this week. While I am currently working on a couple of projects for my mom that should wrap up soon, client work hasn’t started up yet. So, I just wanted to get out and get some inspiration and see what there was to see. See I did. And inspired I was. 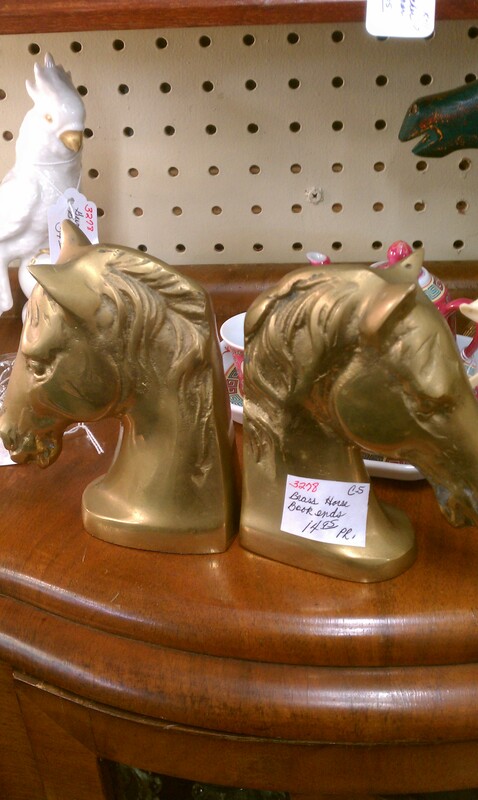 First up is a pair of brass horse bookends. Classic, timeless. $15 for the pair. Not bad. 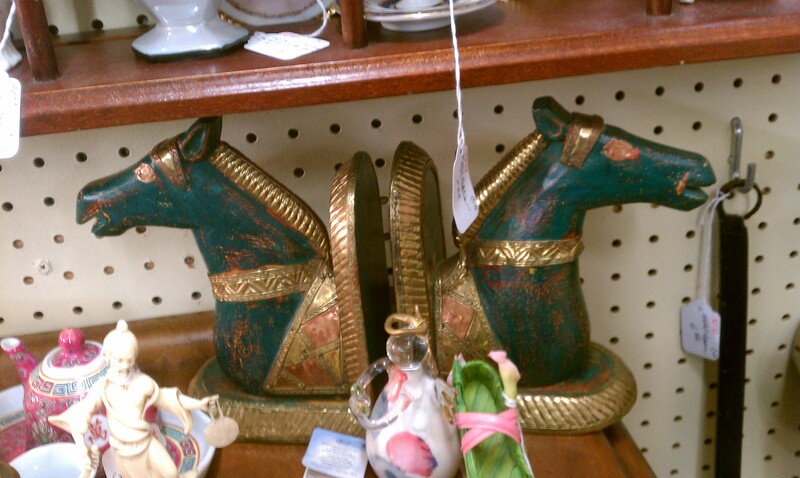 This same vendor also had these super fun emerald green, brass, and copper horse head bookends. They’d add an interesting pop of color on your bookshelves. 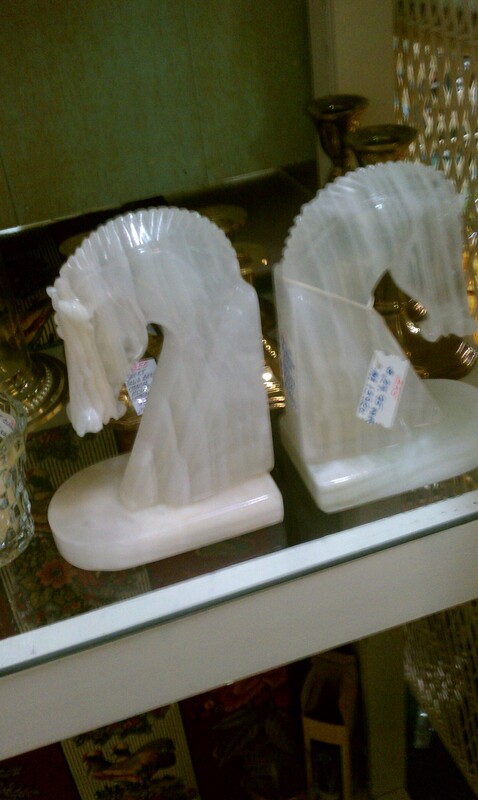 And, while we are on the subject, I also came across these horse head bookends…These are my favorite ones, perhaps because they are alabaster. I love me some alabaster. Next as I was trotting along, I came across this cabinet. $40. Seriously? OK, I’ll paint you and put a butcher block on you and use you in my kitchen as an island. Oh, wait, I don’t have room for an island in my kitchen. Well, if I did, I would totally do that. Who doesn’t think this library table is gorgeous? I wish you could have seen the finish. It’s got such patina and the prettiest little dings and marks on it that add just the right amount of character. What a great little piece of furniture. $299. Anyone know a little boy that wants a football themed room? 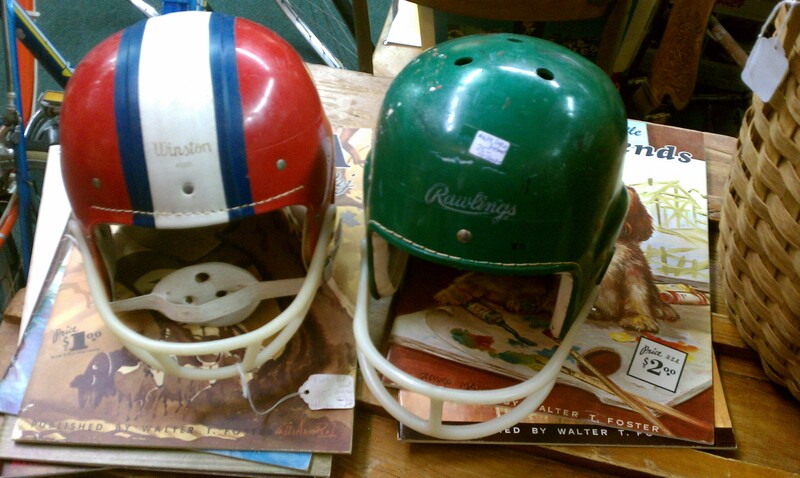 I do, but too bad we’re not decorating it right now, because these vintage helmets would totally be a jumping off point for an entire room. Are you looking for some storage in a small, dull bathroom? 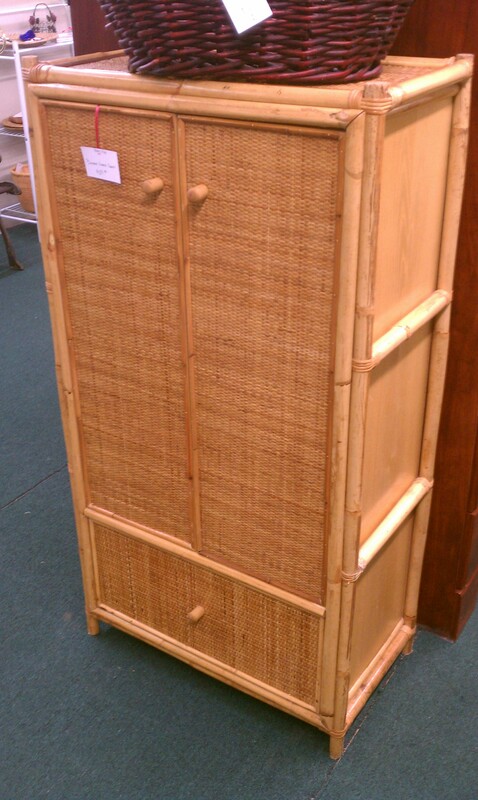 Well, then go get this bamboo cabinet and paint it a bright color. It’s full of shelves and a drawer for storage, and the price makes it a no brainer. $40. 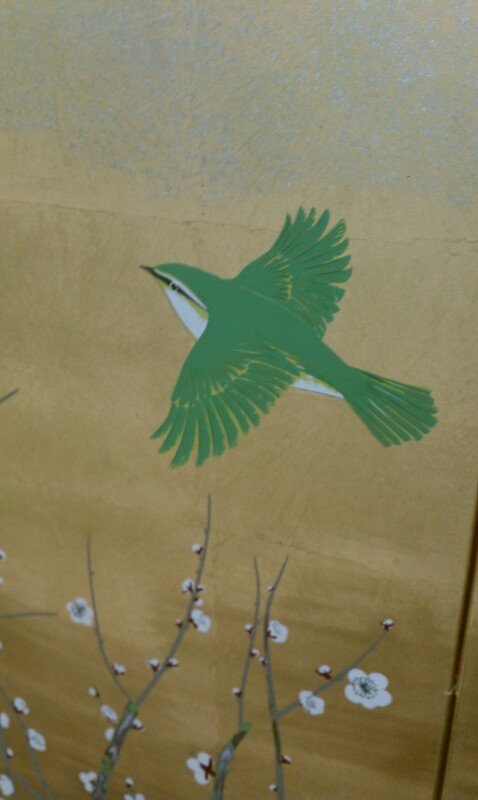 Speaking of bamboo, I love it. Always have and probably always will. 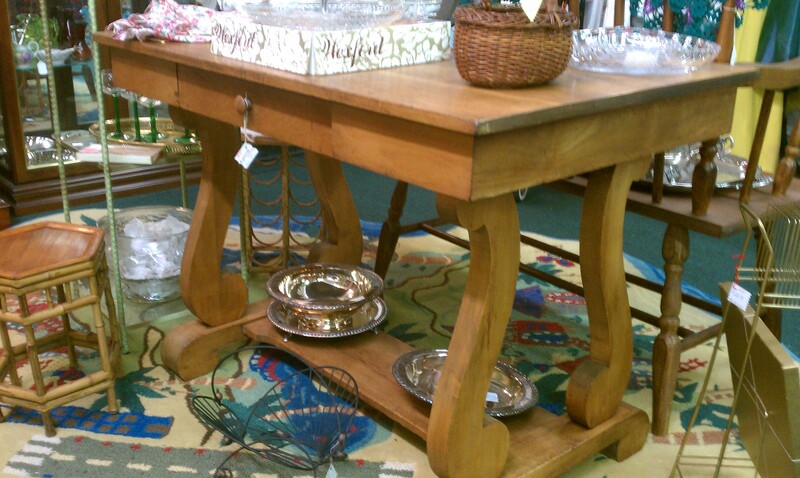 This end table is just lovely, and I so wish I had a place for it. $80. 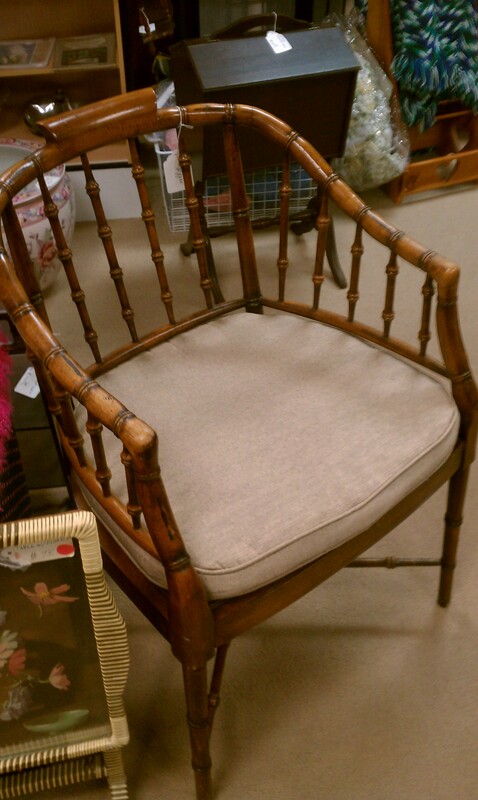 And this bamboo chair almost came home with me. I have a bit of a problem with leaving accent chairs behind. 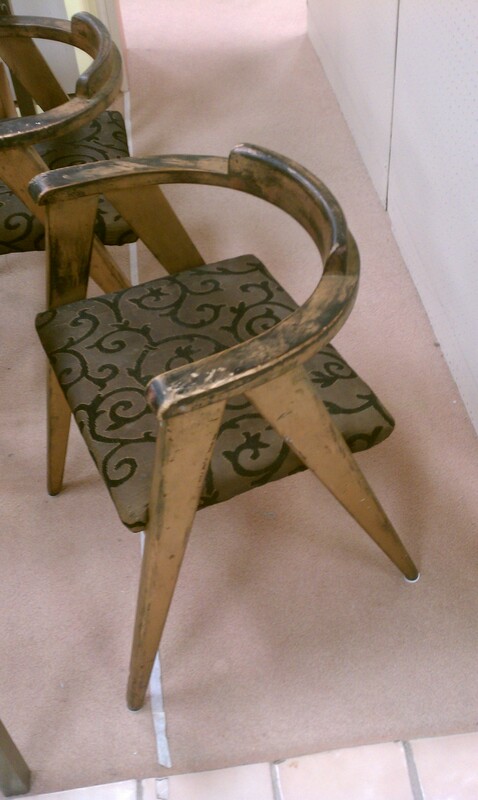 What is it about chairs that I love so much? I think it’s that they can actually have a personality. $89. 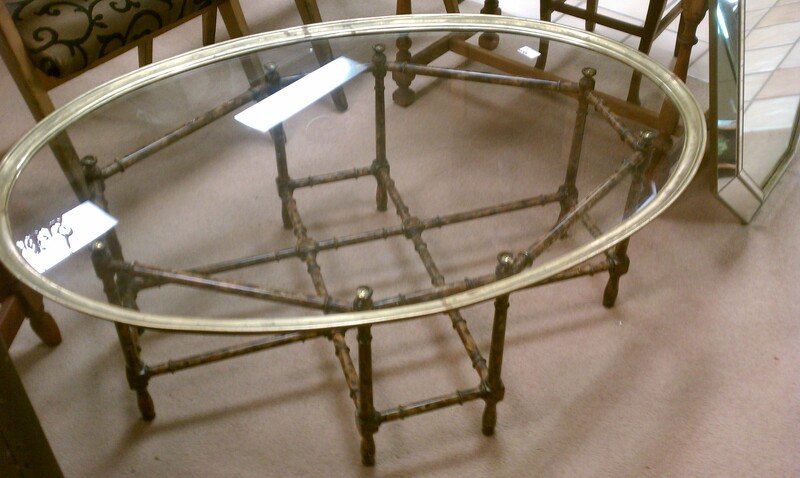 The only thing I love as much as bamboo furniture is faux bamboo furniture. 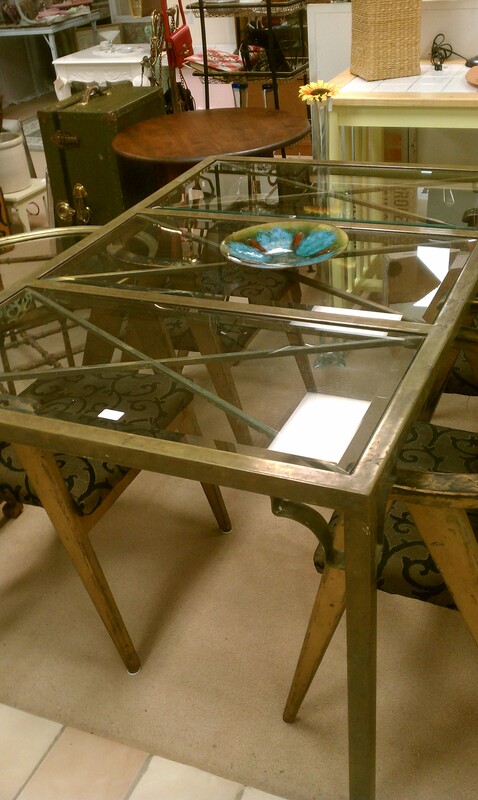 This is a brass bamboo and glass coffee table that would glam up any living room. $55. And while I don’t get asked to do many dining rooms, I wish I had one to do now because this table is SO COOL. It’s super heavy, and the antique brass frame and the beveled glass makes it so unique. The tag says these chairs come with it. ($250 for the set). And while I don’t love them with this table, they are actually really cool (and comfortable). Some new fabric and a paint job would make them stars of any dining space. 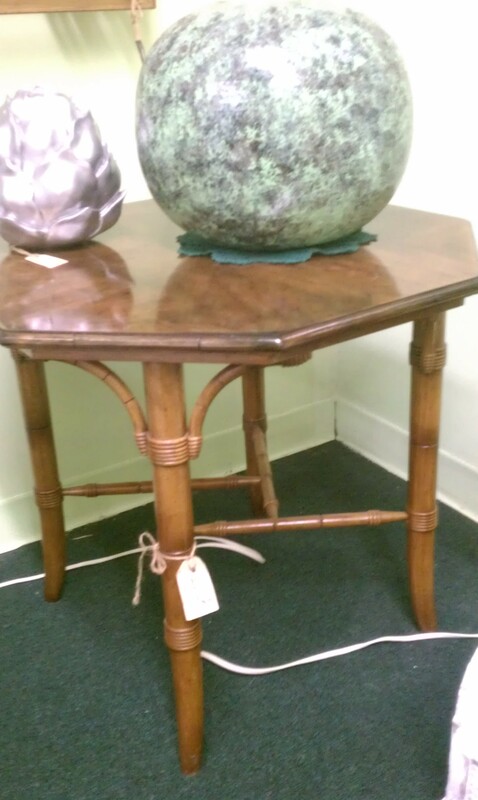 Another beautiful antique end table. Heywood Wakefield. $65.00. Yes! 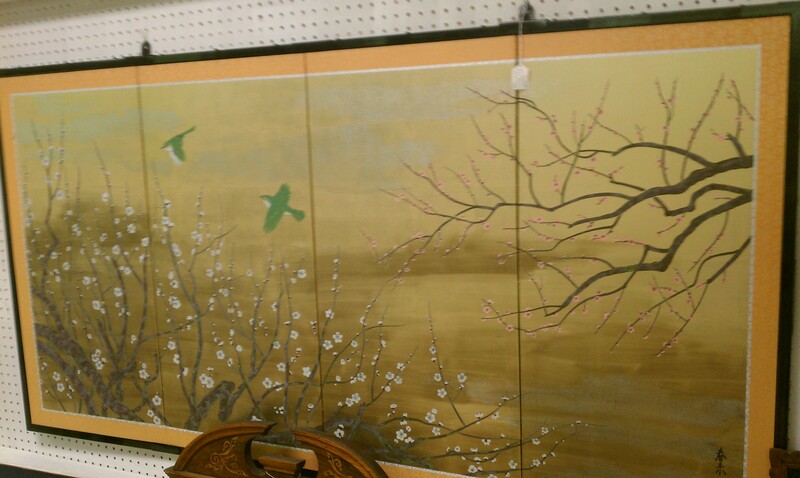 Next post I’ll share the fabrics I found, including one that I found to go with this in what could be a beautiful room. Believe it or not, there was more. But, I just decided it’s time to kick off my shoes and have a glass of wine.